Today it’s rogue US governance waging war on humanity at home and abroad – what too few people understand. Americans are the world’s most over-entertained, uninformed people – largely mindless and indifferent about the horrors committed by their government. threatening world peace. Instead of getting informed and acting to protect their welfare, they believe the Big Lies they’re told by official sources – repeated by the media, mouthpieces for wealth and power exclusively. The claim about waging endless wars to protect national security is a complete fabrication. America’s only threats are state-sponsored or ones it invents. Fear-mongering gets most people to believe a phantom terrorist threat exists. 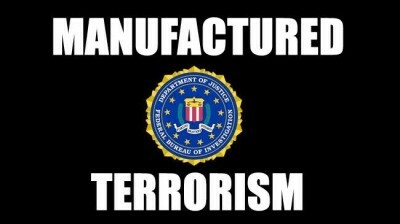 State-sponsored false flags like 9/11 (the mother of them all), Paris in mid-November and most recently San Bernardino, make it easy to manipulate an uninformed public to support policies demanding condemnation. As long as most people rely on television for so-called news and information, they’ll remain mindless that terrorists “R” us. US intelligence covertly supports Al Qaeda and its affiliated entities. New York Times/CBS polling data show pre-Paris and San Bernardino, only 4% of Americans called terrorism the nation’s top problem. Now it’s 19%. Chances of a significant terrorist attack on US soil (a real one, not a false flag) is near zero. Public opinion believes otherwise. Asked in The Times/CBS poll “how likely is a terror attack in the US,” 44% said very, 35% somewhat, and only 17% not too likely or not at all. These numbers are the highest registered since since the post-9/11 October 1, 2001 Times/CBS poll. Asked the same question about the likelihood of a terrorist attack in America, 53% of respondents said very, 35% somewhat, and only 10% not too likely or not at all. Fear-mongering aided by false flags works. Instead of focusing on real issues like protracted Main Street Depression conditions, poverty and the threat of possible nuclear war, most people nonsensically believe a phantom terrorist threat is likely or somewhat likely – not realizing they’ve been duped to support an agenda harming their welfare and security. For the first time since 2006 (before the 2008 financial crisis, creating protracted Main Street Depression conditions), most Americans fear a terrorist attack on US soil – either homegrown (63%) or originating from abroad (59%), clear evidence of public ignorance and the power of propaganda to manipulate people effectively. Nearly 70% of Americans consider ISIS a major threat. Only 11% say not at all – the public mindless about US responsibility for creating the terror group and others like it, used as imperial foot soldiers. Only one-fourth of Americans think the fight against ISIS is going well or somewhat well – not realizing Washington supports what it claims to oppose, or understanding US imperial wars caused the greatest refugee crisis since WW II. The public is evenly divided on whether to let displaced Syrians enter America – even after a careful vetting process to screen out threats. Post-San Bernardino, Obama’s approval rating on combating terrorism sunk to 34%, a record low. 57% of Americans disapprove of how he’s handling the issue, a record high. Two-thirds of Democrats support him, compared to 90% of Republicans and 60% of independents against. His overall approval rating is 44% – astonishing it’s not much lower given how gravely he’s affected the welfare of the vast majority of Americans. Only 24% believe the country is headed in the right direction. The Times/CBS poll was conducted from December 4 – 8 among a random sample of 1,275 adults nationwide.